Assessing the performance of various hardware components is a job for specialized software utilities that can thoroughly test several parameters before reaching a qualified conclusion. 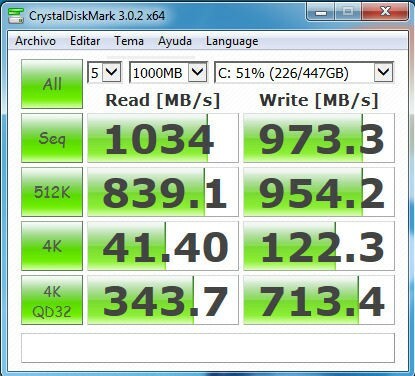 For hard disk drives, one of the best choices is CrystalDiskMark. The application runs through the setup process pretty fast. Except for destination directory, there isn’t anything else to configure. However, pay attention every step of the way, because you might end up with a different homepage and other applications installed as well so make sure to decline any “offers” and don’t just press next on everything.